Public transport users can expect a more comfortable and convenient daily commute as the Land Public Transport Commission (SPAD) will introduce a card that will be used for all modes of transit starting from 1 January 2017. The card is named Integrated Cashless Payment System (ICPS) and it will be valid for all trains and bus services in the Klang Valley. The ICPS is a collaboration between SPAD and Touch ‘n Go who will be supplying the card while the commission will provide the system, The Sun Daily reports. 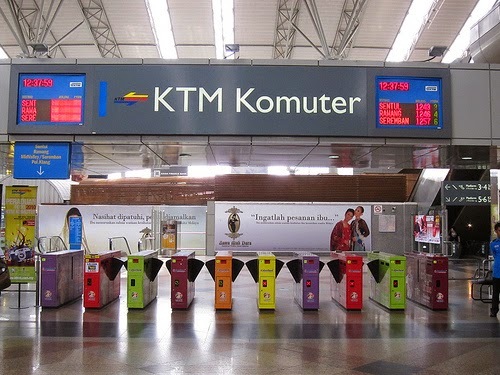 “Currently, the penetration of electronic transit card systems in Malaysia is only 10% and this is not good as it means it is difficult for people to travel between different mode of rail-based service such as LRT, KTM and monorail because commuters are required to purchase different tickets,” said SPAD Chairman Tan Sri Syed Hamid Syed Albar. “However, once we have this integrated electronic ticketing system by Jan 2017, travel will be much easier for the public because commuters are only required to pay once for the whole journey across all modes, with no penalty for interchanging between services,” he added. The Chairman also believed that the new system can also be a form of attraction for the tourists, because with it, it will be more convenient for them to travel around the capital.